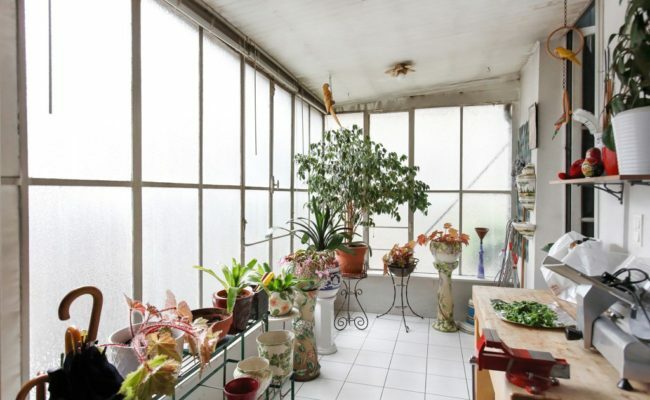 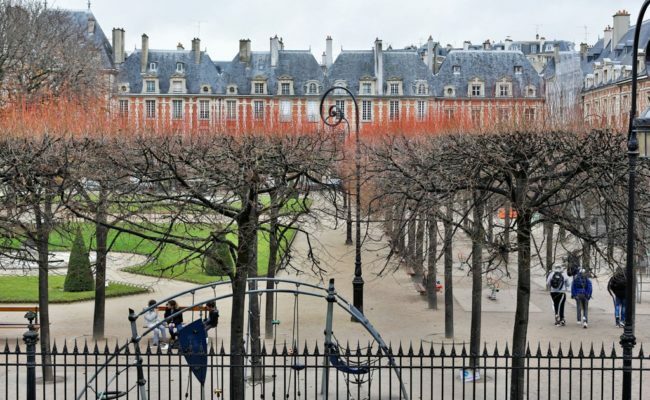 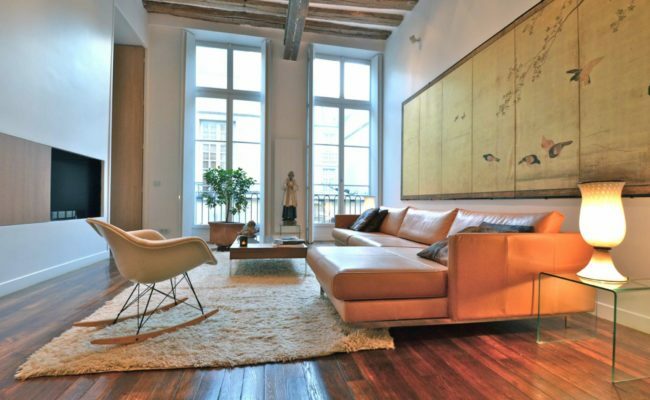 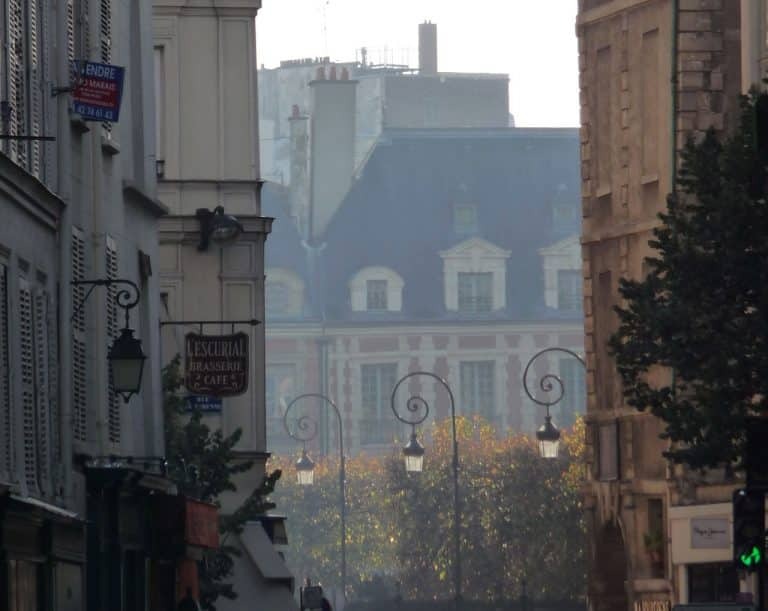 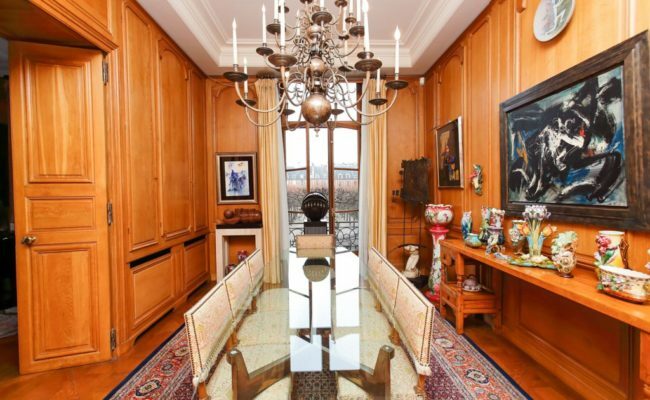 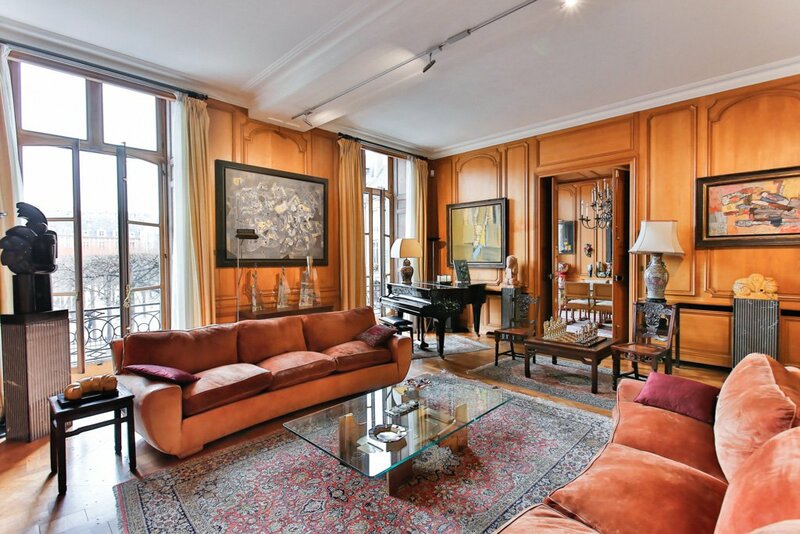 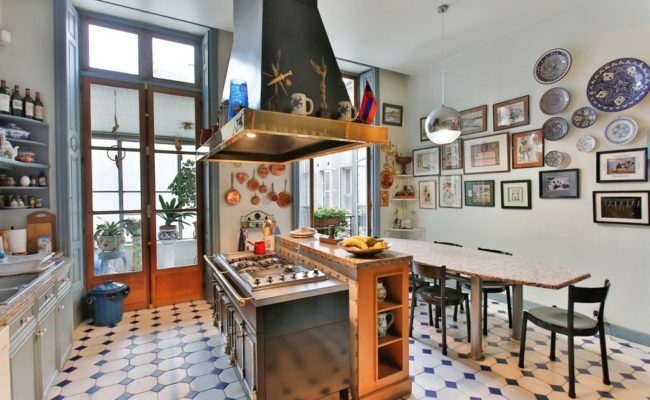 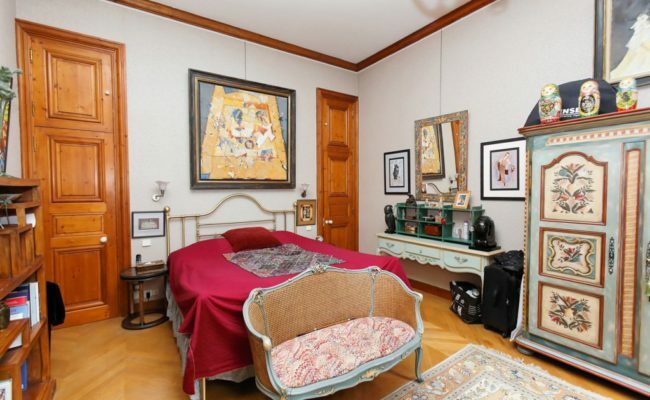 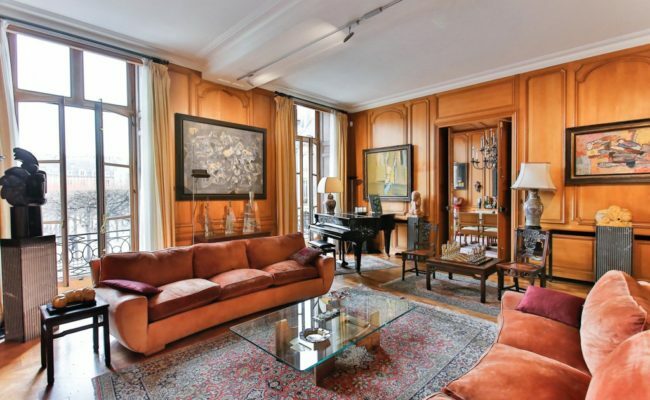 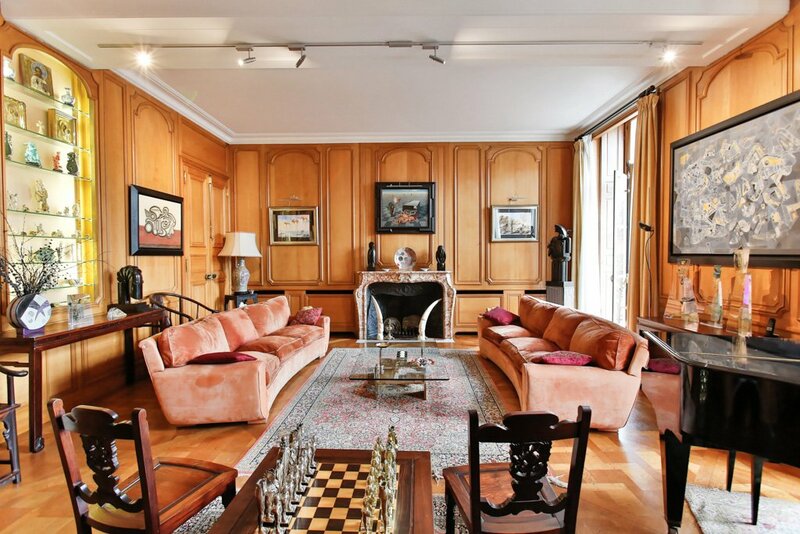 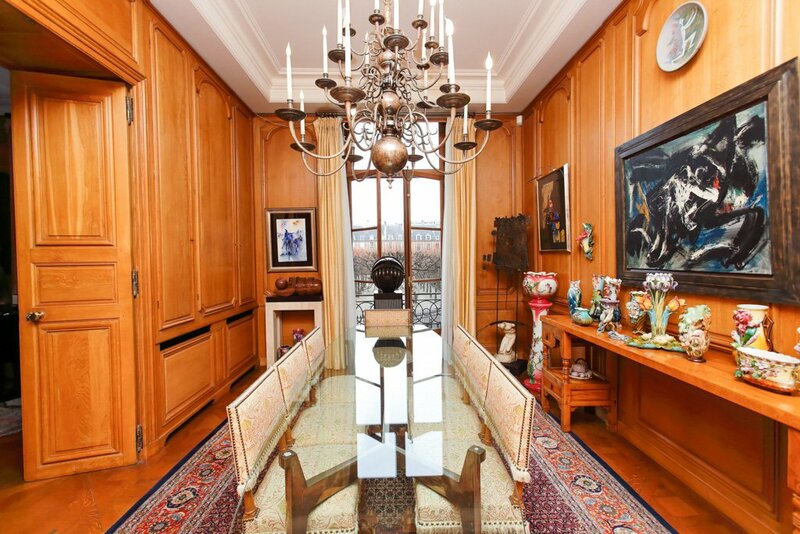 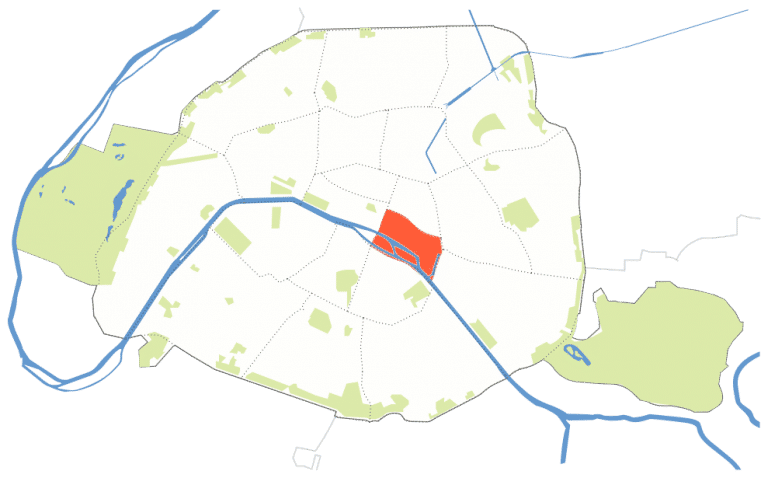 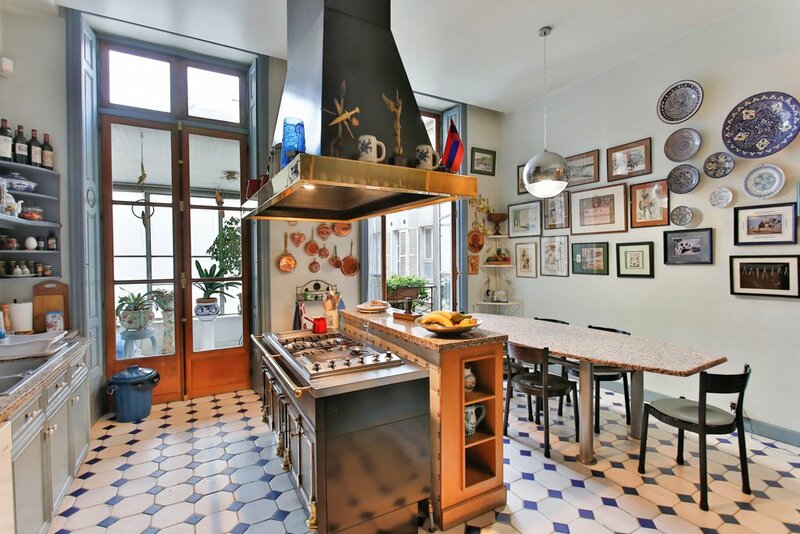 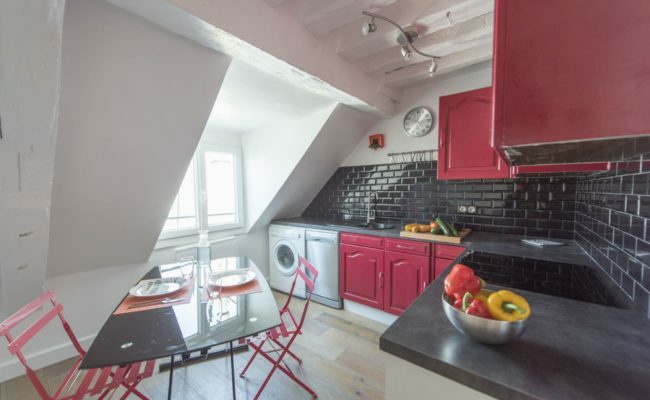 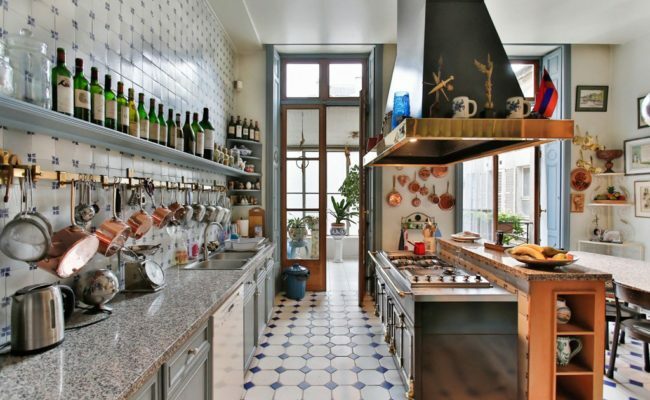 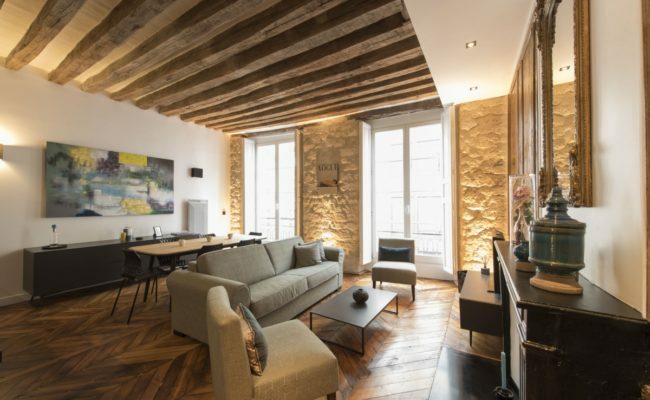 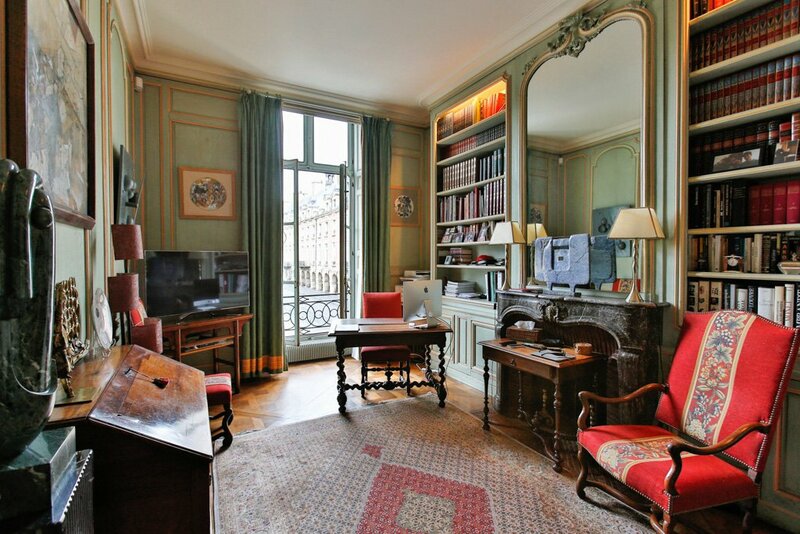 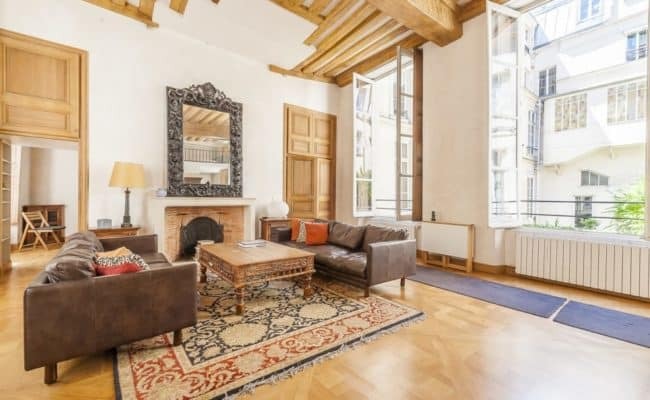 Four bedroom, three bath: First floor apartment (second floor American) located in a 17th century historical mansion set directly on Place des Vosges and accessed by a grand, historically rated staircase. 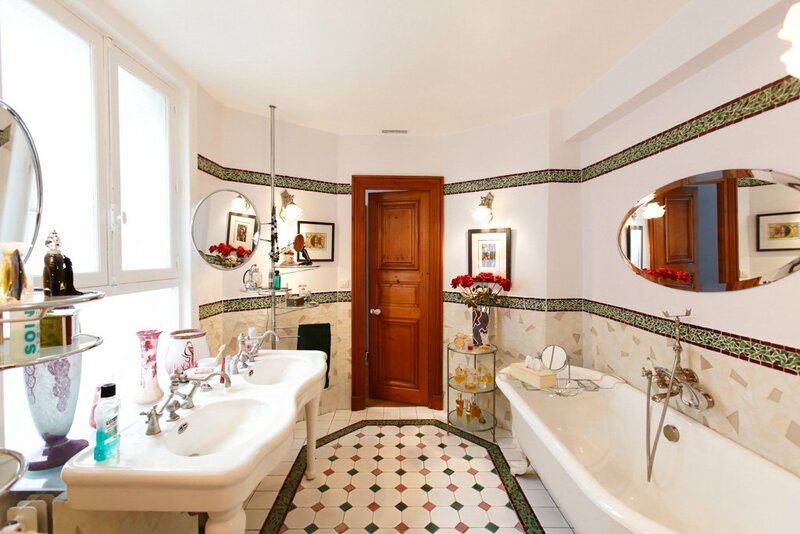 The large entry features stone cabochon floors. 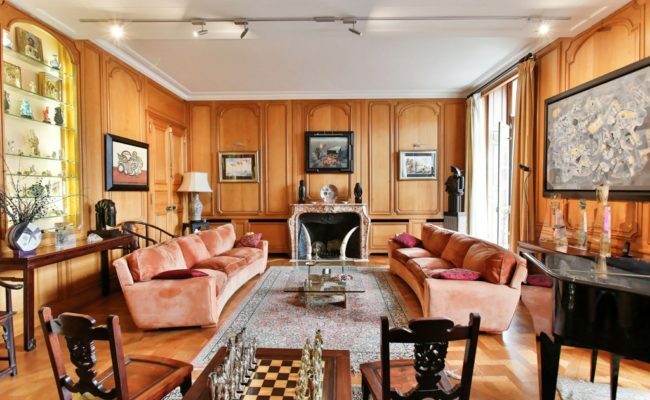 The property has four large windows overlooking the Place, including the living room and dining rooms with parquet de Versailles floors, wood paneling, fireplace and 3.5 meter-high ceilings. 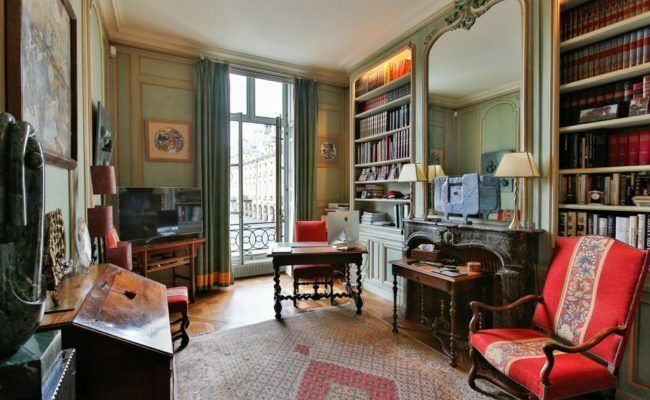 A bedroom with parquet de Versailles flooring, wood paneling and fireplace also overlooks the Place des Vosges, and has it’s own ensuite bath.Overlooking the interior courtyard are the large, inviting kitchen, also with high ceilings, an office / atrium and two additional bedrooms with bath. 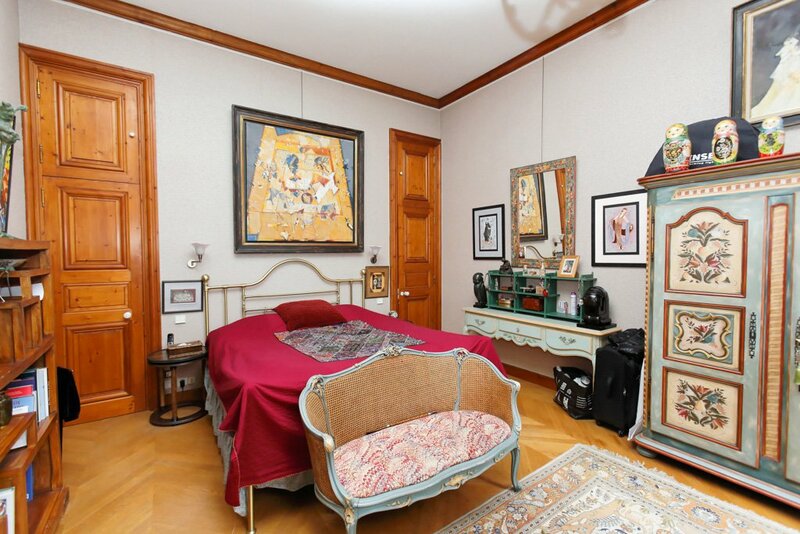 A bedroom or office with separate bath is located in the “Entresol” level, accessed via a separate entry. 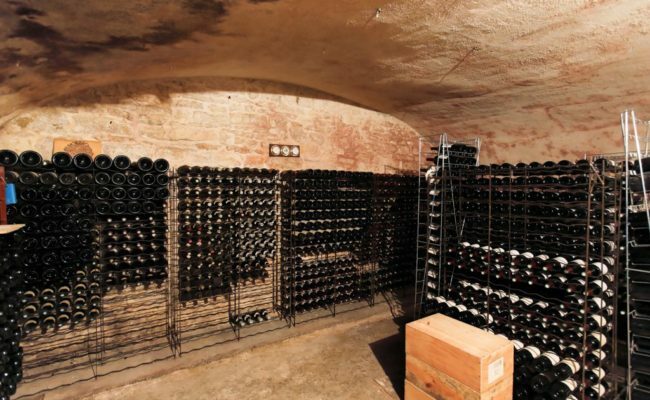 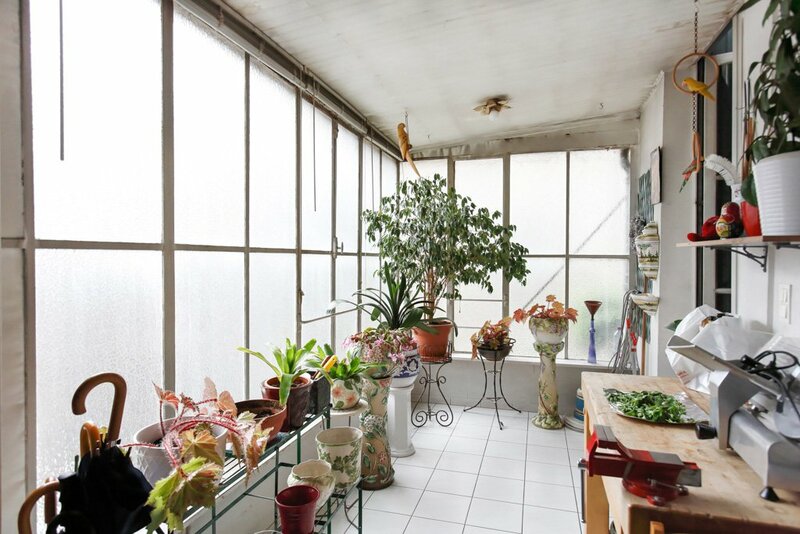 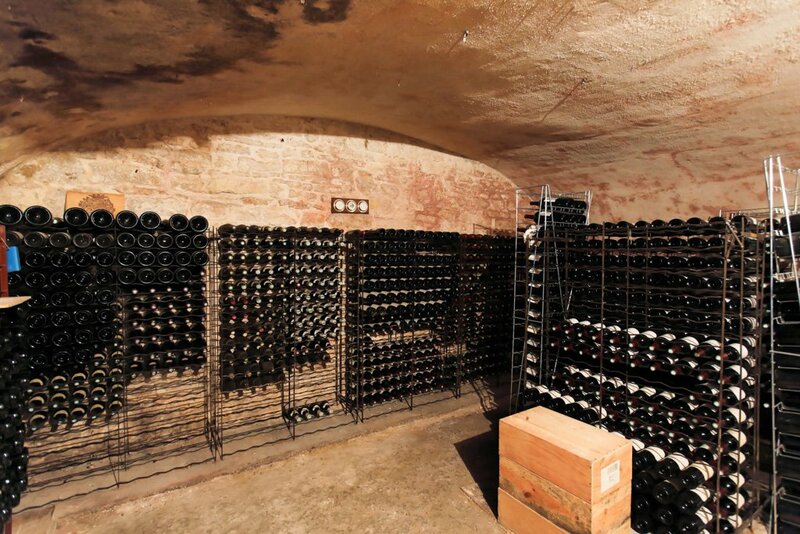 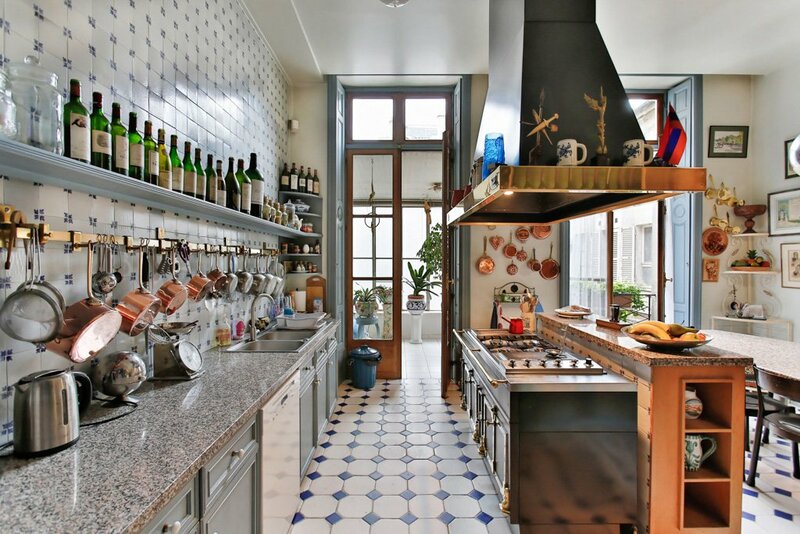 A magnificent wine cellar and a service room also come with the property. 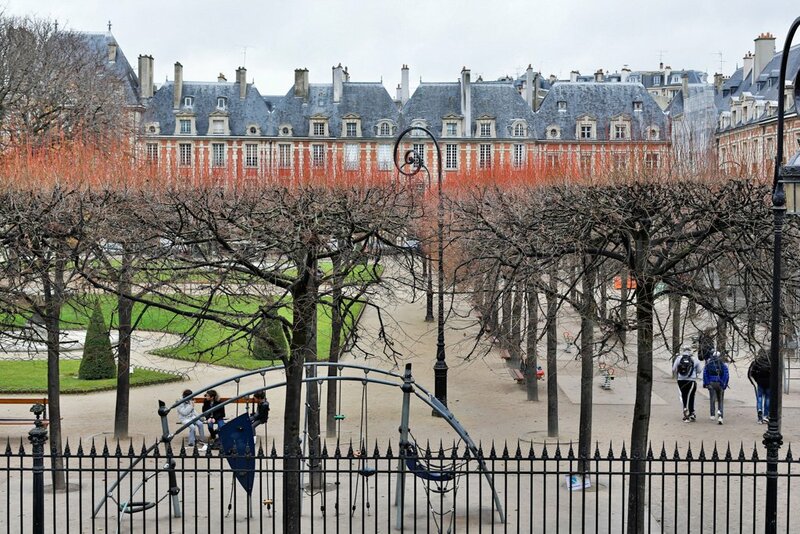 A parking spot is reserved in the courtyard. Some freshening or updates may be needed.